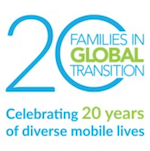 With nearly 200 attendees representing 30 countries already registered, Families in Transition (FIGT)’s 20th Anniversary Conference is truly a global event that will celebrate the diverse voices of globally mobile lives. FIGT’s conference is not just for families – it benefits a wide range of individuals that live the globally mobile lifestyle. 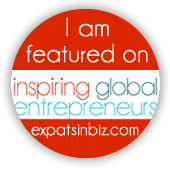 Many are expats or global nomads, Third Culture Kids (TCKs), and educators, who are all seeking the latest research and thinking on how global transition affects their life trajectory and offers them a connection with a like-minded community. #FIGT18NL, FIGT’s 20th Anniversary version of its annual conference, will be held at the World Trade Center in The Hague, The Netherlands from March 8-10, 2018. With its exciting lineup of influential keynote speakers, contributors, sponsors and experts, this year’s conference promises to draw a record number of attendees and be a turning point for FIGT’s next 20 years serving the globally mobile community. Fons Trompenaars, an expert and author in cross-cultural communications, sums up why globally mobile individuals should attend the FIGT conference: “Our paradigms are culturally biased. We need a new paradigm to take advantage of diversity rather than fighting it. That’s part of what this conference is about.” By attending #FIGT18NL, you’ll be a part of the exploration, discussion and analysis of this topic. As a special bonus, all #FIGT18NL conference attendees will receive a copy of the first run of “A Reunion of Strangers,” a book of quotes compiled by Summertime Publishing, courtesy of authors and experts in the globally mobile field, Jo Parfitt and Robin Pascoe. If you’ve been touched by a childhood of nomadic life, have found yourself in a foreign land, are looking to connect with a like-minded globally mobile community, or are simply keen to explore the latest knowledge in international transitions, then register today for #FIGT18NL and join us in celebrating the diverse voices of globally mobile lives at http://www.figt.org/2018_Conference. FIGT provides members with information and resources, ranging from webinars, updates on issues relating to the globally mobile, and the opportunity to develop and connect with networks of like-minded people. FIGT also shares research on themes critical to globally mobile families such as identity and belonging. The volunteer-run, not-forprofit also fosters and promotes cross-sector connections for sharing research and developing best practices that support the growth, success and well-being of people crossing cultures around the world. To learn more about FIGT and to register for the Annual Conference, please visit www.FIGT.org. Read more about FIGT conferences here.